" The wood is the energy, the wood is the beauty, and the wood is the story. What I must do is respect all wood, shape it, refine it, and ultimately present it in all it’s inherent glory to our human eyes. The wood speaks for itself, mesmerizing us all. 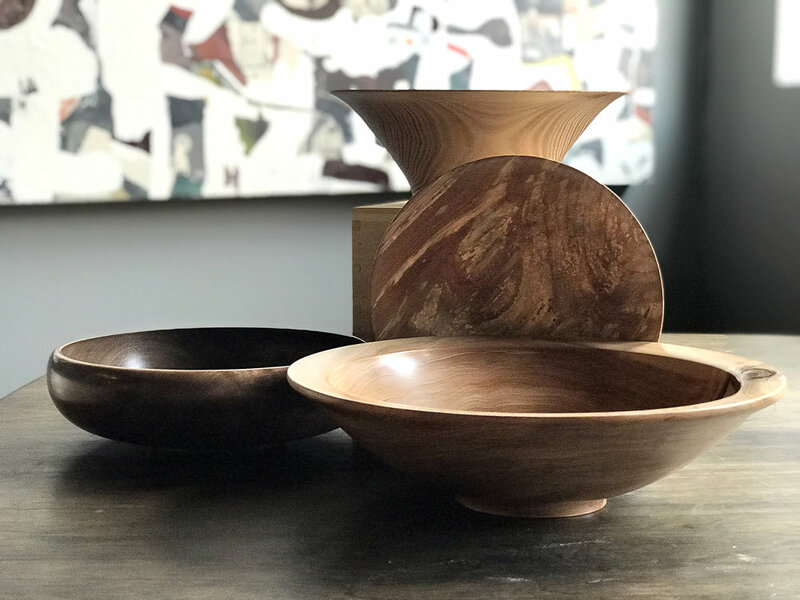 99% of the wood in the Into The Wood studio grew from seedling to old growth within 30 miles of my home in Brighton, Michigan. I’ve no need to travel across oceans to discover beautiful wood. It is here every day. I do not stain wood or otherwise alter its color. I prefer an extremely high level of sanding and polishing on turnings and on all creations to make a careful choice of protective finish. I strive to bring the strength of grain and color resident in the wood forward knowing it will flourish upon its own personality. If our visions mesh I’d be honored to bring a moment of beauty to you. 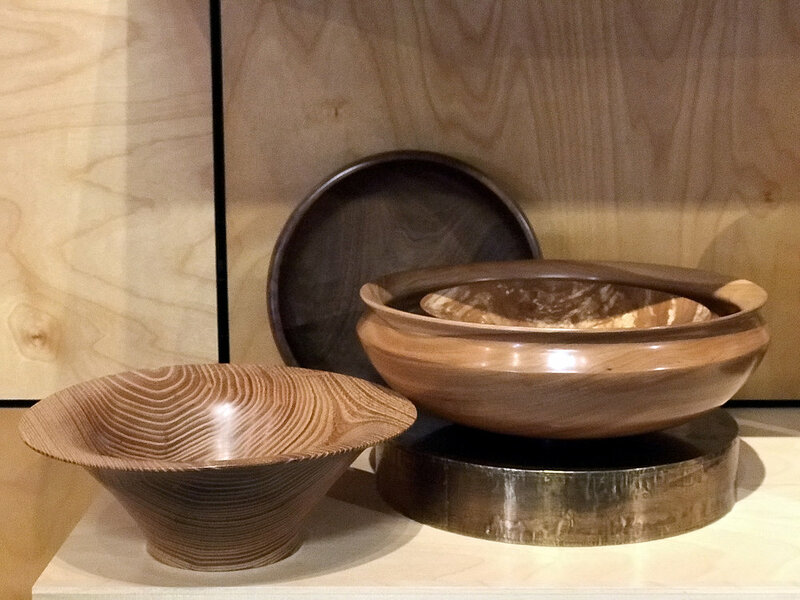 Care: My pieces are recommended for dry goods only, both to protect the finish, and to prevent unexpected expansion and contraction due to moisture. Use a regular wood polish every once in a while, but steer clear of oils due to the protective finish."